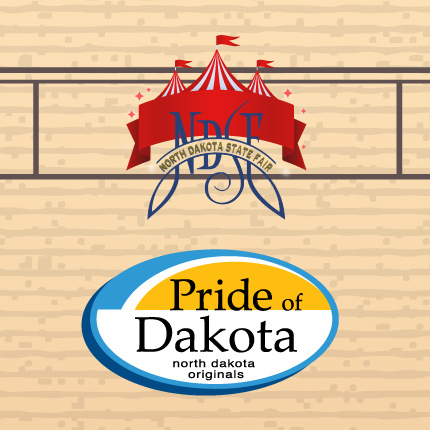 Shop from Pride of Dakota members under the tent at Pride of Dakota Day at the ND State Fair! In addition, join us for $1 lunch featuring North Dakota products at 11 a.m. All money from lunch goes to the ND FFA Foundation. At 3:00 p.m. we will be hosting an anniversary social to celebrate our 30th year at the ND State Fair! Enjoy samples of Pride of Dakota snacks and register for great Pride of Dakota prizes & gift basket! Special thank you to our event partners KMOT TV and the ND FFA Foundation!